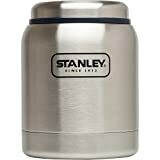 There is nothing like being able to buy-with-confidence, and the brand Stanley has been around for a long time and so have their vacuum flasks and food jars. So they must work, right? 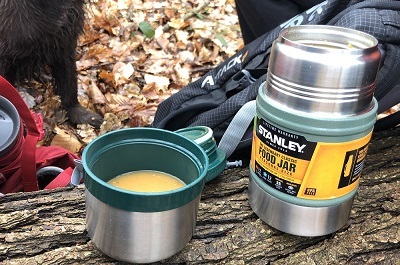 If course they do, and it was great to have the confidence to throw a hot portion of wholesome soup into the Stanley Classic Food Jar and know that it will be warm and waiting for us when we stop off on our walk. Mrs TentLife is a winger and I have lists to organise my lists (but still forget stuff), many of our adventures are last minute so you get an idea of who is in charge around here. 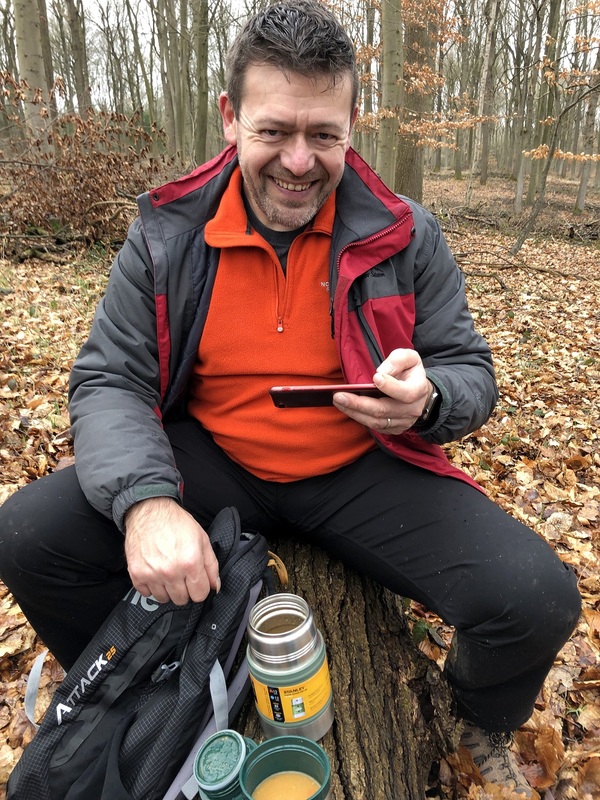 In preparation for our April West Highland Way hike for charity we decided to go for a long walk (with the doggos) around the Wyre Forest (Kidderminster) and camp locally to test out a backpacking tent. 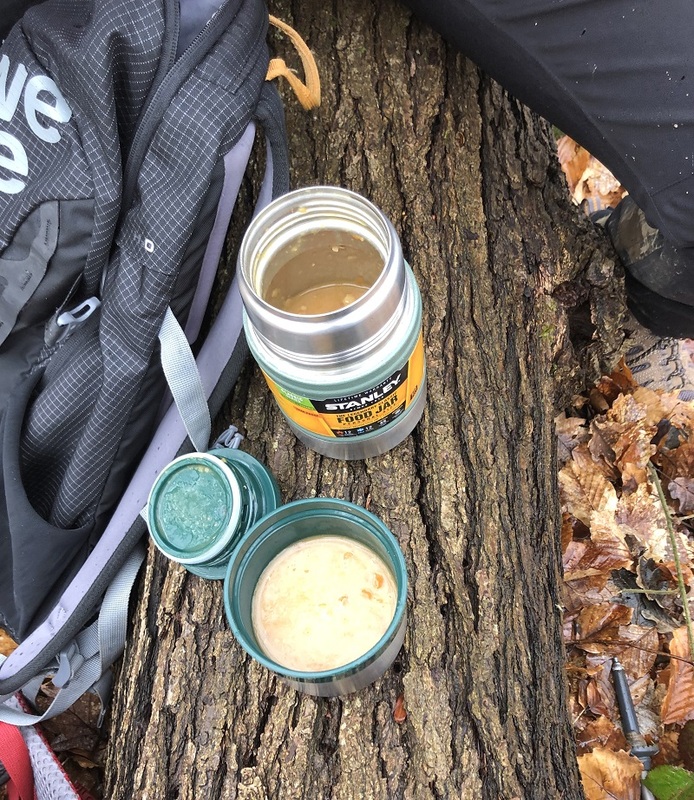 This walk/camp was short notice and the weather wasn’t exactly warm, so we decided that we would take some hot soup with us in our Stanley Classic Food Jar. A great idea as we would be out for some time enjoying the forest and most probably crying about how we would get George the Sprocker. I could tell you that it looks and feels great, robust and well built, that it will last for years and take many knocks etc. etc. – All these things are true however, the most important thing we can tell you is that it did exactly what it said it would do and kept our soup hot for 6 hours. 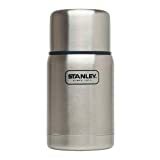 At 9.30 we filled Stanley with hot water first to warm it up, and then we poured in the hot soup, put the lid on and shoved it in Mrs TentLifes backpack. Around 3.30 in the afternoon, on a brisk Friday we were sat on a huge log in the middle of a peaceful forest consuming our still hot soup – Sound like heaven? It was. 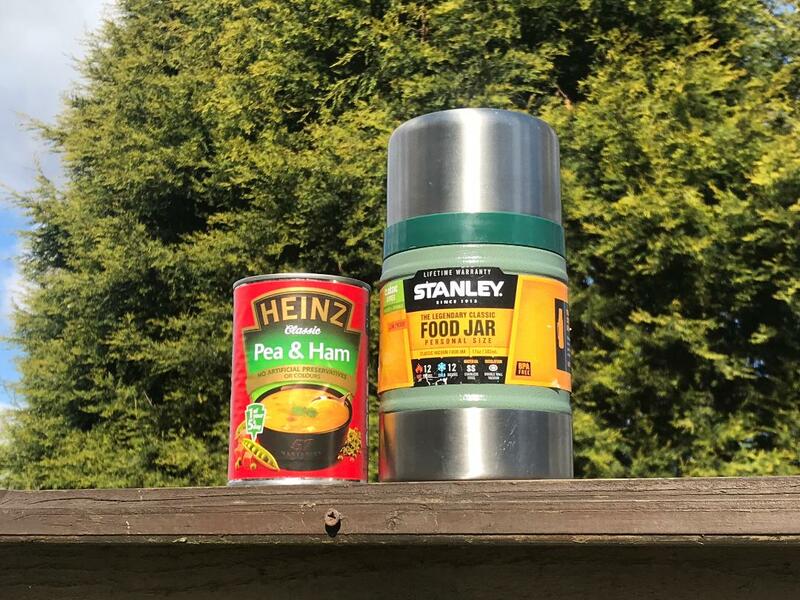 We shared the soup, Mrs TentLife has hers out of the insulated lid and I had mine from the jar. 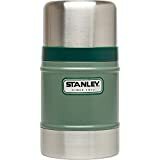 Stanley say that the food jar will keep food hot or cold for up to 12 hours and we don’t doubt it. After our 6 hours, our soup ha cooled only a little and certainly warmed us up ready for us to be on our way again. We needed to go find some more mud as clearly George had decided she wasn’t dirty enough yet. Cleaning it out upon our return was a breeze too, as the jar has a wide mouth and even I could get my man hands in there to get it shiny again ready for next time. 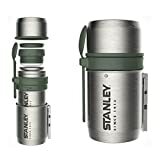 We can think of so many more ways in which we can use this handy bit of outdoor kit on our camping adventures. Getting something warm inside you on a long hike, especially when wild camping for example is a godsend. 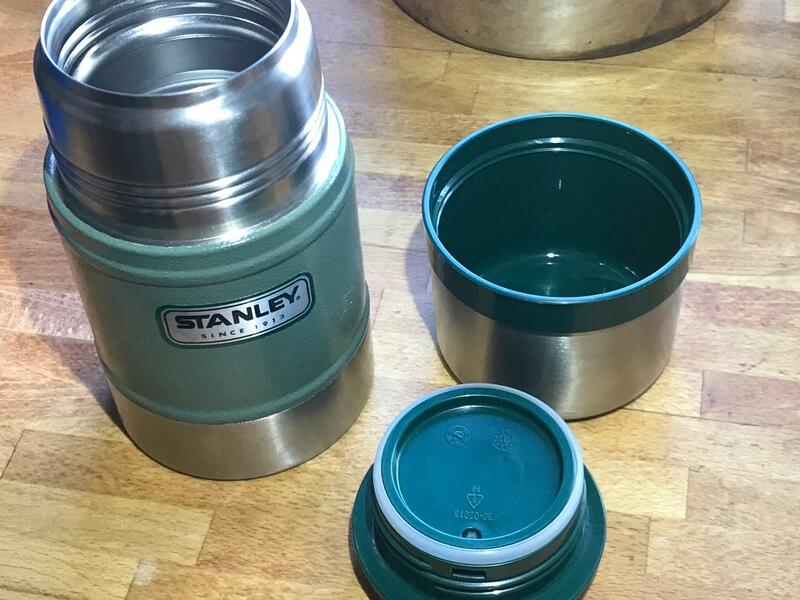 Clearly it’s no great difficulty to just pop the camping stove on the ground and get something warmed up, but having the Stanley food jar available gives you more options, especially if you were in a bit more of a hurry or the weather was horrid. It weighs a little over 500 grams, it’s 185mm long and 90mm diameter. 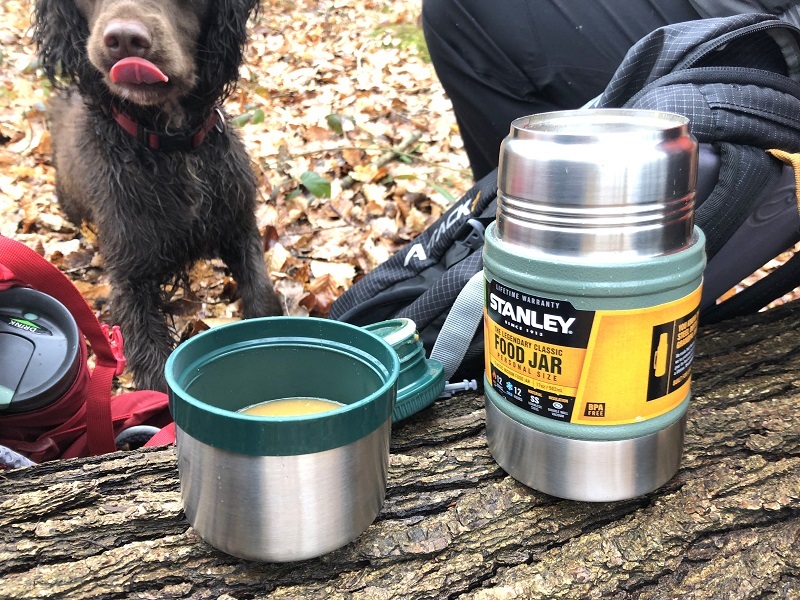 Needless to say that the Stanley Food Jar will be coming away with us on many more (probably last minute) trips, providing us with much need sustenance to assist us in enjoying the outdoors.